Unblock Me FREE is a game in which you have to remove the red block in the middle. Happy birthday to Unblock Me!! Unblock Me is now celebrating it’s 5th year anniversary and it’s 100 Million Download. 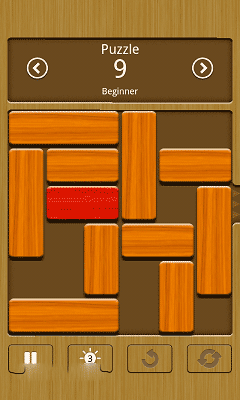 Unblock Me FREE is a simple and addictive puzzle game. The goal is to unblock the red block out of the board by sliding the other blocks out of the way, unblock it with the minimal moves. 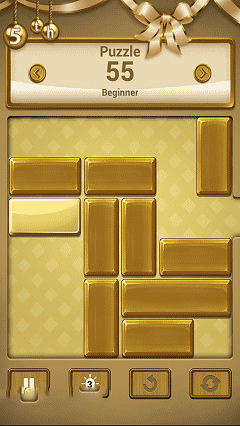 Unblock Me FREE comes with 4 difficulties ranging from Beginner to Expert. There are 14500 puzzles in total, the highest amount of puzzles you’ll find in any game, worth hundreds of hours to keep you challenged and addicted. With 2 game modes in Unblock Me FREE, you can challenge yourself in challenge or choose to just lay back and relax while solving your puzzles. In Challenge mode each puzzles has 3 stars to earn, adding its replay value so you can always try to get all 3 star in every puzzle. A ranking system and achievements are also added to keep you even more challenged. 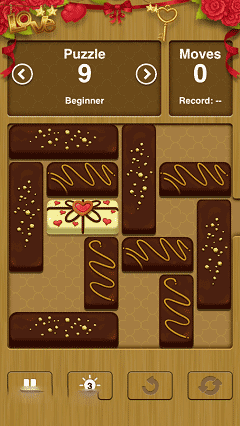 Download last version Unblock Me apk for android from revdl with direct link.